According to UBS, China's third largest carrier might have its initial launch of the Apple iPhone pushed back to the middle of 2012. Originally, the mobile operator was scheduled to release the Apple iPhone 4S around this time of the year. At the moment, China Unicom is the only carrier in China allowed to officially sell the iPhone. 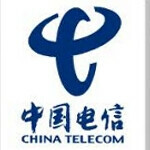 China Telecom instantly became the country's third largest mobile operator when it bought the domestic CDMA operations of China Unicom. "The number of such unauthorized iPhones using service without a signed pact is over 4 million" i didn't understand this,if they have bought unlocked phone,do they not have the right to use it on any carrier.